COLUMBUS, Ohio—A new study provides an inside look at the most powerful explosions in the universe: gamma-ray bursts. These rare explosions happen when extremely massive stars go supernova. The stars’ strong magnetic fields channel most of the explosion’s energy into two powerful plasma jets, one at each magnetic pole. The jets spray energetic particles for light-years in both directions, at close to light speed. On Earth, we detect bits of the resulting debris as gamma rays. Researchers also suspect—but haven’t been able to prove conclusively—that GRBs are the source of at least some of the cosmic rays and neutrinos that pepper our planet from space. Now, physicists at The Ohio State University and their colleagues have begun to answer that question. By building some of the most detailed computer simulations ever made of a GRB jet’s internal structure, they have been able to model particle production inside of it. Their finding —that the non-uniform internal structure of the jets is key to determining the emission of the different kinds of astroparticles—appears online April 10 in the journal Nature Communications. The study also raises new questions that can be answered only by the next generation of neutrino telescopes. 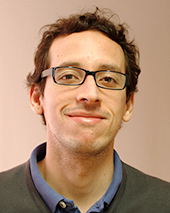 Mauricio Bustamante, a Fellow of the Center for Cosmology and AstroParticle Physics at Ohio State, explained that the new computer model is a natural outgrowth of recent findings in astroparticle physics, such as the first confirmed cosmic neutrinos detected at the IceCube Neutrino Observatory at the South Pole in 2013. With partners at Penn State and the DESY national research center in Germany, Bustamante wrote new computer code to take into account the shock waves that are likely to occur within the jets. They simulated what would happen when blobs of plasma in the jets collided, and calculated the particle production in each region. In their model, some regions of the jet are denser than others, and some plasma blobs travel faster than others. Bustamante offered the analogy of the plasma jet as a long highway, albeit one where the cars are traveling at different speeds close to the speed of light. “Everywhere on the highway there are fast-moving cars, but some of them will be fast sports cars, while others will be extra-fast Formula 1 racers. They will collide all over the highway, and when they do they will create debris. The debris always contains neutrinos, cosmic rays and gamma rays, but, depending on where the collisions occurred, one of these will typically dominate the emission,” he said. The amount of debris that reaches Earth depends on how energetic the star is and how far away it is. One implication of the model is that the rate of neutrino production in GRBs might be lower than previously thought, so only a minimal number—say, 10 percent—of neutrinos detected on Earth are likely to come from GRBs. The density of neutrinos that reach Earth is called the neutrino flux, and the model predicts that the likely neutrino flux from GRBs is below the threshold of detection for today’s neutrino telescopes. “We expect that the next generation of neutrino telescopes, such as IceCube-Gen-2, will be sensitive to this minimal flux that we’re predicting,” Bustamante said. Then astrophysicists can use the model to refine notions of GRB internal structure and better understand the sources of cosmic particles detected on Earth. Co-authors on the paper were Philipp Baerwald and Kohta Murase of the Institute for Gravitation and the Cosmos at Penn State and Walter Winter of DESY in Germany. This work was funded by NASA, the German Research Foundation, and the U.S. National Science Foundation.